Hindustan Aeronautics Limited (HAL), a state-owned company with an illustrious history, was approaching a significant milestone. HAL was turning 75 and they wanted a creative solution that would reflect its prestige and achievements to the world. We pitched the idea of a sleek corporate brochure commemorating HAL’s diamond jubilee. 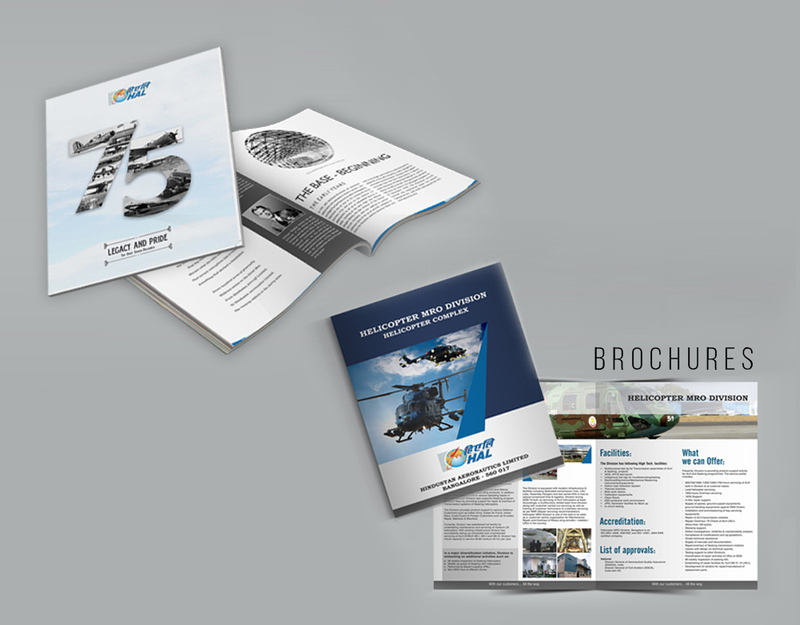 After a multi-agency pitch, our idea was selected to be the official organization literature of the aerospace and defence heavyweight. Our team got to work and leveraged their design thinking capabilities to ensure that 75 years’ worth of goodwill and excellence was aptly captured into a single consolidated brochure. We received considerable praise from HAL as they were delighted with the look-and-feel of the brochure. Indeed, they were so pleased that they even asked us to work on other collaterals, including leaflets and official company newsletters. It was the perfect platform to forge a lasting relationship with an industry giant.